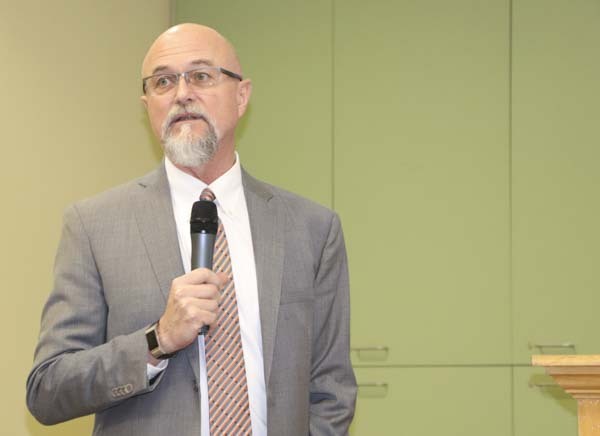 John Grillo, chair of the Computer Sciences, Technology & Business of the Science & Technology Institute, said he’s hoping to make his colleagues aware of the programs that have high-demanding jobs that local companies are hiring NVC graduates in. Dr. Howard Marquise of NVC’s Water Resource Science program brought three students to say what attracted them to the program. Most said they didn’t want extra student debt, but were looking for a career they would enjoy and would have a good salary. For instance, Debra said while she already had a degree she wasn’t using it and was searching for something new and took a chance on Water Resource. She said she loves it. NVC’s Advanced Materials Technology program (nanotechnology) is one program that has brought a lot of recognition to the college. Several of its graduates have gone head-to-head at competitions with four-year students or have interned at prestigious organizations. Dr. Neda Habibi, coordinator of the program, said with the help of a National Science Foundation grant, her program holds summer workshops to make educators and students aware of the benefits of a nanotechnology education and what careers it can lead to. Susan Escobar, chair of NVC’s Digital Media program, said many people don’t realize that NVC has one of the top technical programs for students seeking web development skills. She added many of the Digital Media graduates go on to get high-paying jobs building sites for companies and organizations, such as the military. Another organization that has hired many of our students is Rackspace. 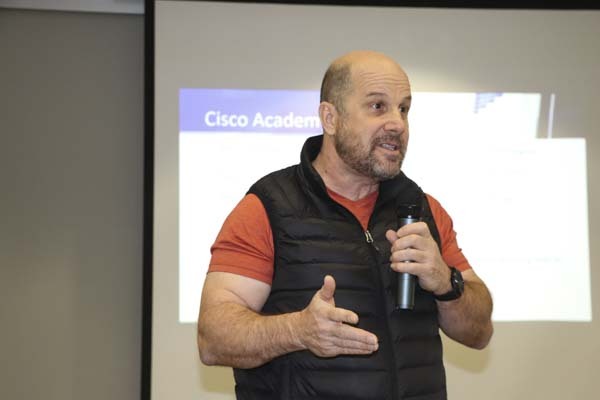 NVC’s Cisco Networking Academy is a top feeder of employees for the company, which is a leading provider of managed services across all the major public and private cloud technologies. 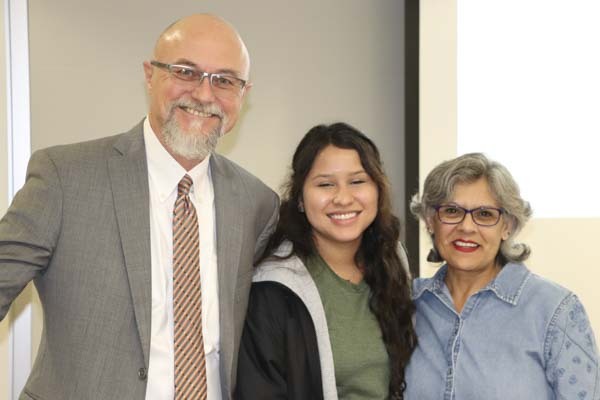 Several members of the 2019 Alamo Colleges Emerging Leaders program were recognized. Don’t forget to attend Staff Senate’s annual Cowboy Breakfast Friday, Feb. 1 in Huisache Hall, room 113 from 7 am until food runs out. Bring a non-perishable food for the food pantry. Join NVC for Family Game Night on Feb. 1 from 6 pm to 8 pm in Lago Vista. Congrats to the NVC Degree Completion Team! NVC had the most graduates among its sister colleges. NVC gave out 1,024 awards, San Antonio College gave out 854, St. Philip’s College had 656, Palo Alto College gave out 439 and Northeast Lakeview had 120. Please remind students of the NVC Degree Bash from Feb. 4-7 if they are close to graduating; students can apply for graduation at March Gradness on Wednesday, March 20 starting at 9 am; and NVC Gradfest will be on April 18 from 9 am to 6 pm where students can pick up their caps and gowns. 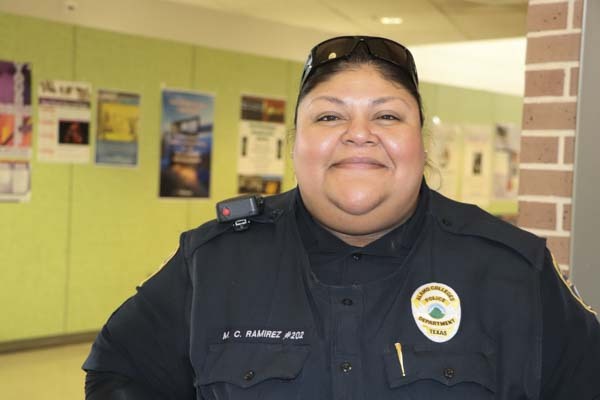 Longtime NVC DPS Officer Mary Ramirez has been promoted to a campus coordinator of Palo Alto College. Mary came to NVC as a student and now is climbing the ranks in the Alamo Colleges Police Department. 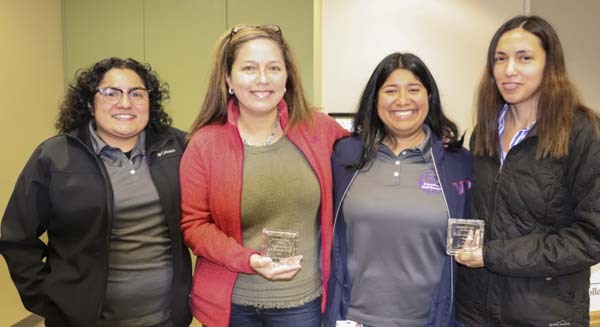 The first-ever NISOD staff winners were Julie Boerm, Mary Moreno, and Minerva Muniz. 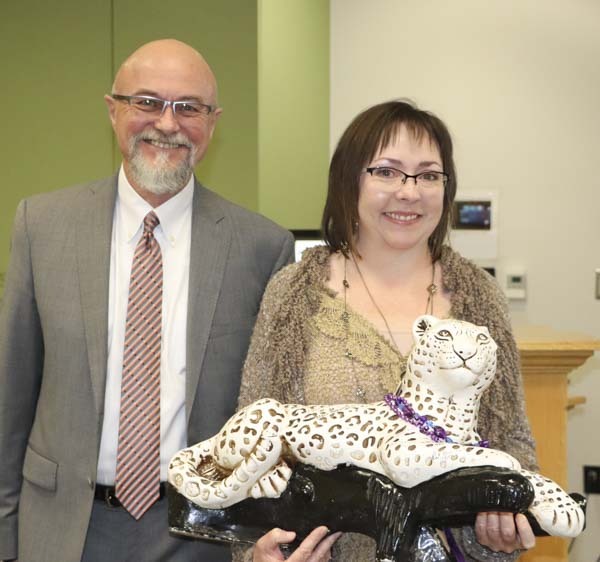 The Employee of the Month award went to Analisa Castillo.